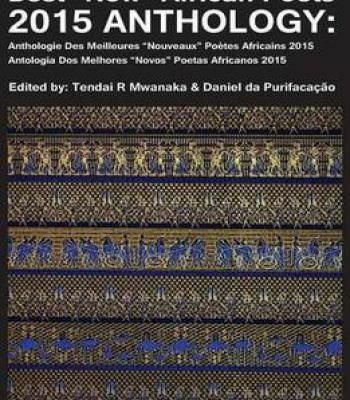 The preliminarily list for The 2018 Best New African Poets has just been released. Please look through the list below. If your name is among, kindly check your mail box for a document containing all necessary information. Between Places (A poetic novel extract): TendaiRinosMwanaka (Zimbabwe)…..
A BLANK PIECE OF PAPER: TendaiRinosMwanaka (Zimbabwe)…..
Poem for my Mother: DimakatsoSedite (South Africa)…. Will Rise Again: Aleck Kaposa (Zimbabwe)…. Them and you: Aleck Kaposa (Zimbabwe)…. DISEMBODIED MATES: Andrew Nyongesa (Kenya)….. The Novelist: Aremu Adams Adebisi (Nigeria)……. AyyooTiyyaa(MY MUM): Leelisa Jacob Sero (Ethiopia)….. Seasons: Gamuchirai Susan Muchirahondo (Zimbabwe)…..
Land Of My Birth: JabulaniMzinyathi (Zimbabwe)…..
Sun Glow: John J.J Dongo(Zimbabwe)….. CHARACTER: LuqmanMaryam,Translated from Yoruba by Luqman Maryam(Nigeria)…..
A WALK THROUGH AN AFRICAN VILLAGE: Patrick Hwande (Zimbabwe)….. Beyond reach: Revash Kun Kanjiri (Zimbabwe)…. MY GREATEST DREAM: Tafadzwa Bandera(Zimbabwe)…. THE FIRE IN YOUR BELLY: Ojonugwa John Attah (Nigeria)…. HE COMES AT NIGHT: Ojonugwa John Attah (Nigeria)…. finger painting: AaliyahCassim (South Africa)…. A Feminist Letter: Kelvin J. Shachile (Kenya)…. Whispers from Home: Kelvin J. Shachile (Kenya)…. Water, a goddess: Kelvin J. Shachile (Kenya)…. THE HORSE IS BRAYING: NkosiyaziKanKanjiri (Zimbabwe)..
Chalice of Choice: OyooMboya Kenya)…..
AFRIKA MY AFRIKA: Prosper Kavunika(Zimbabwe).. Mother baptise me: SinasoMxakaza (South Africa)..
Rainbowality: A call for Change: Antonio Garcia(South Africa)..
Exit the old rusted chain-saw: Christopher Kudyahakudadirwe (Zimbabwe)..
On being a refugee in South Africa: Christopher Kudyahakudadirwe (Zimbabwe)..
Ero Gospel: Michael Ace (Nigeria)……..
TO THINK THAT WOMEN ARE DEMISEXUALS: AmaniNsemwa (Tanzania)…. Accra and traffic: AwuahMainoo Gabriel (Ghana)…. We Shall Rise at Dawn: ChukwudiNwokpoku (Nigeria)…. Candle Lights: Fikile C. Makhubo (South Africa)…. Hands: Fikile C. Makhubo (South Africa)…. A traveller’s note: Fikile C. Makhubo (South Africa)…. Regression / Recession: KgomotsoLedwaba(South Africa)…. One thing we make sure we do on ACEworld is keep you updated of latest happenings & opportunities. Help us serve you better by subscribing to our newsletter.